Tips for making better decisions. 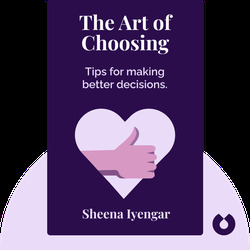 The Art of Choosing draws on the results of fascinating psychological experiments in order to offer you insight into how we make decisions. 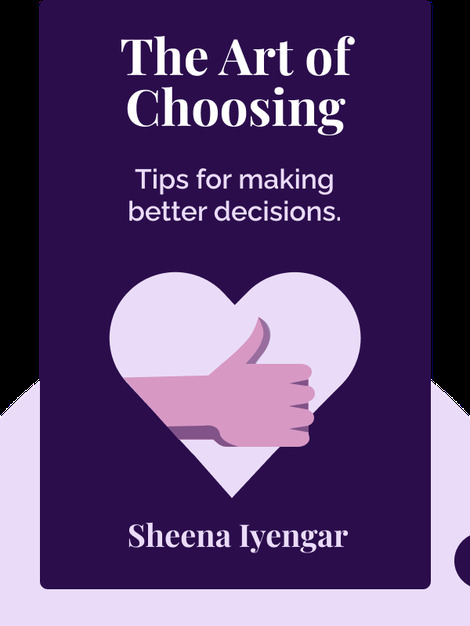 In this book, you’ll discover the common pitfalls that prevent us from making the right choices, and you’ll receive practical tips for making better decisions in the future. Sheena Iyengar is S. T. Lee Professor of Business at Columbia Business School. Her extensive research on how and why we choose has been cited by popular magazines such as Time and Fortune, and she was voted among the top 50 Most Influential Business Thinkers by Forbes in 2011.